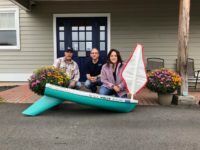 The We-Ha Cruiser was picked up by Dean from Yankee Boat Yard in Portland CT who did a fabulous job with repairs. The students redecorated the top. 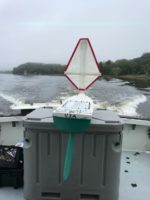 It was redeployed on 10 October just northeast of the Hudson Canyon. After an excursion north through the remnants of Hurricane Mike, it appears now to be safely on its way out to sea! 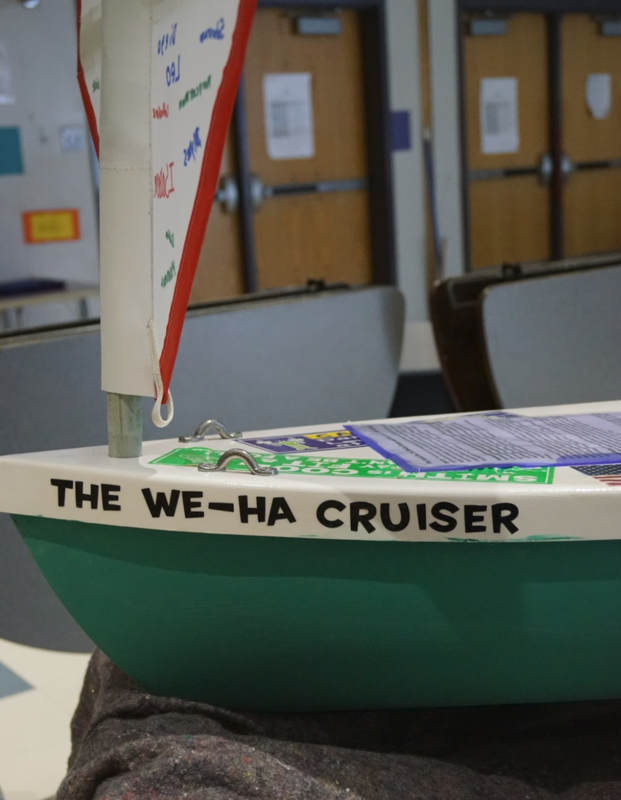 The name of our boat is The We-Ha Cruiser. We-Ha is a nickname for West Hartford. There are even a few media sites that use it we-ha.com is one of them. The naming process started with students offering suggestions in their classroom.